Incised galleon between the initials D R , incised ‘Shirley’ , 1905 and painted GR mark for Gertrude Russell. 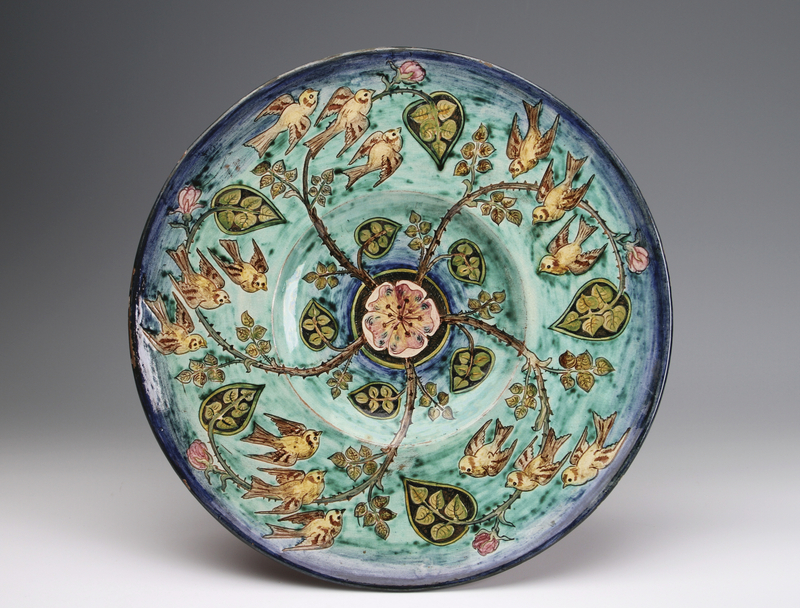 The charger is decorated on a turquoise ground in sgraffito with a central rosette from which flows swirling thorny rose branches and swallows in flight. The Della Robbia factory was based in Birkenhead, near Liverpool and was founded in December 1893 and closed in 1906. It was founded by Harold Stewart Rathbone and sculpture Conrad Dressler with encouragement from Frederick Leighton, William Morris and Walter Crane and on the foundation council painters G. F. Watts and W. Holman Hunt. The initial output consisted of architectural wares. 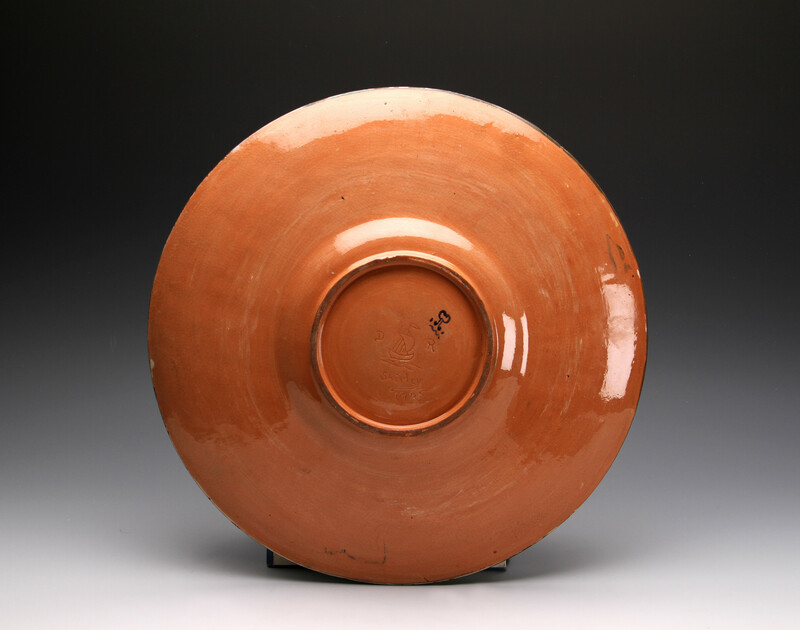 Literature – Malcolm Haslam, English Art Pottery 1865-1915, 1975. Robert Prescott-Walker, ‘The Della Robbia Factory’, Antique Collecting, March 2001.